For many small business owners, are aware of the potential data breaches that can occur. Secure document shredding is one method of data security but most people will think “It wont happen to me” and when it does happen it can cost the business upwards of €100,000 fine if data security was inadequate. For a small business, one data breach can destroy their reputation and customer confidence. Clear-out Shredding policies ensure all paper documents are shredded before being recycled or disposed. The Clear-out Shredding Policy removes any uncertainty around whether documents are confidential and require shedding. This simple step is one of the easiest ways to avoid human error including mishandling of confidential documents and files. In addition, all shredded paper is recycled, adding an environmental benefit to a security solution for businesses. Overall, it leaves little to be decided around the type of information that should not be deposited in recycling bins and waste paper baskets. Mobile devices are everywhere. There are more mobile devices than people in circulation. A workplace mobile will be used so employees can access the information they need remotely, which means company information may be exposed to greater security vulnerabilities. Encrypting all electronic devices is an important first step in securing information. All electronic devices used by employees should be encrypted to protect sensitive data regardless for their own benefit and not just the company or organisation. In the event that electronic devices are lost or stolen, encryption will protect the information stored on the device and mitigate any compromising activity. “End to end encryption” is a term you should look out for especially when transferring data. Software applications can do the same function a number of different ways. Knowing how they operate is recommended. A clean-desk policy encourages employees to clear their desk and secure documents in a filing cabinet or storage unit when they are away from their desk or office at the end of the day. This includes documents, files, notes, invoices, and removable digital media like memory sticks. Unattended and untidy work stations pose a greater risk as loose information is an easy target for theft. A clean-desk policy ensures that all confidential data is locked in a secure area. 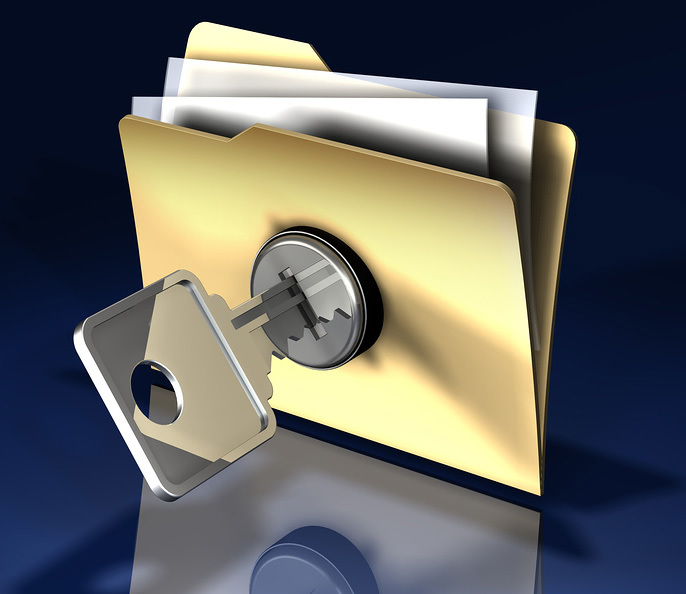 Implement a ‘best practices’ standard for printing confidential information. Encourage employees and staff to not leave documents unattended at a shared printing station. To strengthen security around printing stations, consider using passwords for printing jobs. A printer is connected to a network and can be an entry point for hackers to access a network. Any other peripheral device that’s connected to a network may need an added layer of security just in case. If your business or organisation does not have one, now is the time to assign someone to do it. While it is important to have senior management and leadership play a vital role in mitigating data breaches, engaging employees from all levels and cross-departments helps strengthen an organization’s focus and commitment on information security. At Security In Shredding maintaining data security is a vital importance to us. We must comply with data protection laws. For more information on paper shredding and data destruction services, please get in touch with one of our staff for more information. This entry was posted in Confidential Shredding, Corporate Social Responsibility, Data Destruction, Data Protection, Digital Data, Product Destruction and tagged Confidential Shredding, Data Privacy, Data Protection, Data Security, document shredding, secure document destruction, Secure Shredding by Security in Shredding. Bookmark the permalink.